This is the Legendary Bladed Wings Back Bling cosmetic item that is found in the Fortnite game. Below is detailed information on how to obtain the Bladed Wings item in the game. "How do I get the Legendary Bladed Wings Back Bling in Fortnite?" 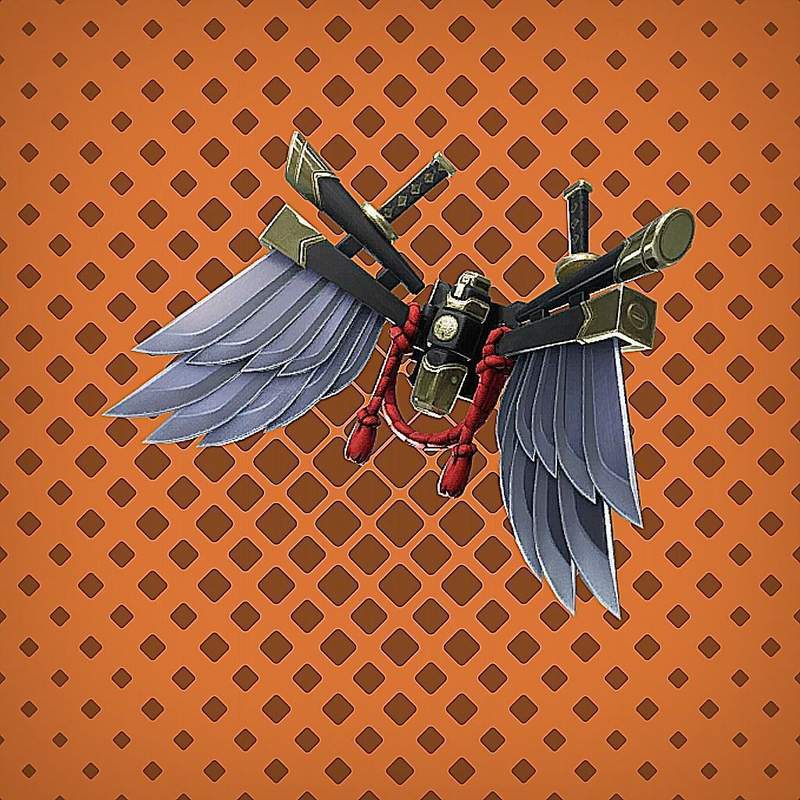 The Legendary Bladed Wings Back Bling is obtained by completing Shogun in the game, checkout the latest Fortnite Shop items. How: completing Shogun in the game. How many times has bladed wings been in the shop? bladed wings has never been in the fortnite shop. When was bladed wings last in the shop? bladed wings has not yet been in the fortnite shop it is due to be in soon. How much is bladed wings? You get bladed wings by completing Shogun in the game. Term Box: download bladed wings, fortnite bladed wings png, best bladed wings back bling, bladed wings back bling images, bladed wings back bling info, fortnite bladed wings back bling data, bladed wings cost, bladed wings shop item. Question Box: When will bladed wings back bling be in the shop? How much is the bladed wings back bling? Will the bladed wings back bling be listed again? bladed wings back bling release date? Is the bladed wings back bling worth it? How to unlock bladed wings back bling?